It's Kim from Katydid Cards with you today! I'm glad to be here and I'm glad you're here, too! and there are many more who impact my life in a positive way. Since putting a Tic Tac in your mouth gives you a "bang out of life" (isn't that how the jingle goes? ), I thought giving them one with a decorative cover would "give 'em more bang for the buck". Excuse me for mixing my metaphors here. 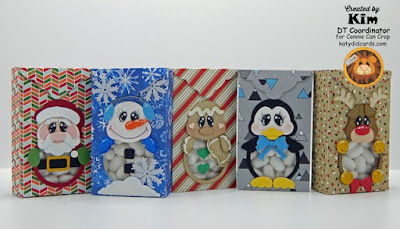 I used the Tic Tac Christmas Boxes file from our sponsor, Treasure Box Designs. They have such cute designs! If you want to take a closer look at what they have to offer, here's the store. And, if you want to get inspiration on a regular basis, join their Facebook page here. I made five of the six designs provided in the file. If you click on the image, you'll be transported to the gallery for a close-up of each box. Which is your favorite? I think mine is the Snowman. For those of you who sell your handmade crafts at shows and boutiques, this would be a great idea to try. A sheet of 12 " x 12" patterned paper will net you four boxes. I tried so hard to get the fifth box on that page but it just wouldn't fit. All the other elements can be cut from scrap card stock, so the only other expense is that of the Tic Tac Boxes themselves. I found them for a dollar each but didn't really do a lot of searching. If you like this idea, Treasure Box Designs also has another file with eight other boxes for various occasions and events. I've made a few other things in the past which are quick and easy to make for a craft show. Here's one example. And another. Before I leave you today, I want to remind you about the monthly challenge at Connie Can Crop. 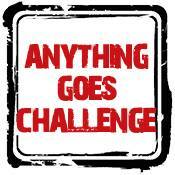 The theme this month is "Anything Goes". That makes it really easy for you to share your work of art! One lucky winner, picked at random, will win $20 in free files! You can get all the details or, better yet, enter just by clicking here. These are adorable, Kim. Very cute. I think that I like the penguin the best. I can't get over how super cute these are!! 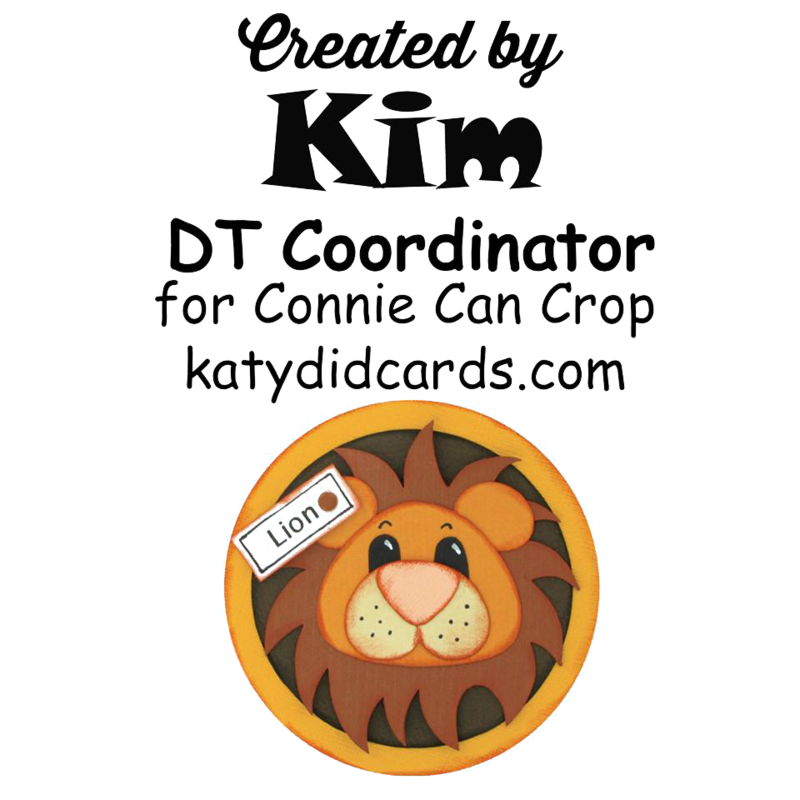 these are adorable Kim! Great job!